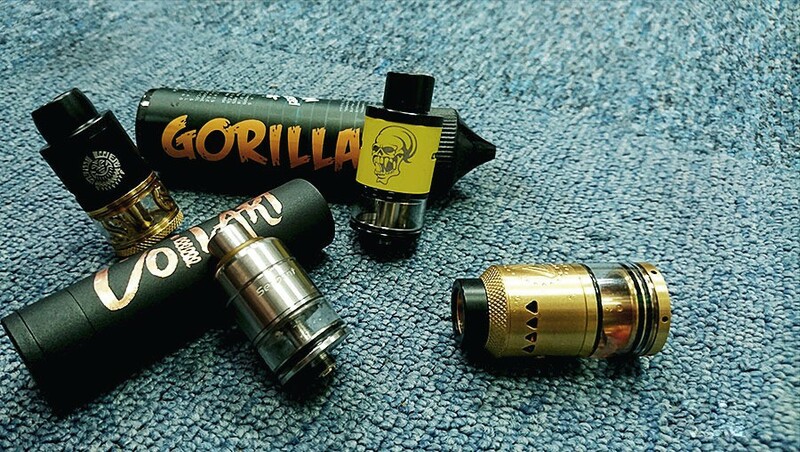 From the year 2016 to the present, experiencing a slack period for a while, RDTA atomizers largely emerge in the market again. Today, we pick out five newly-emerged and distinctive RDTA atomizers to present to you and also will provide some using skills. 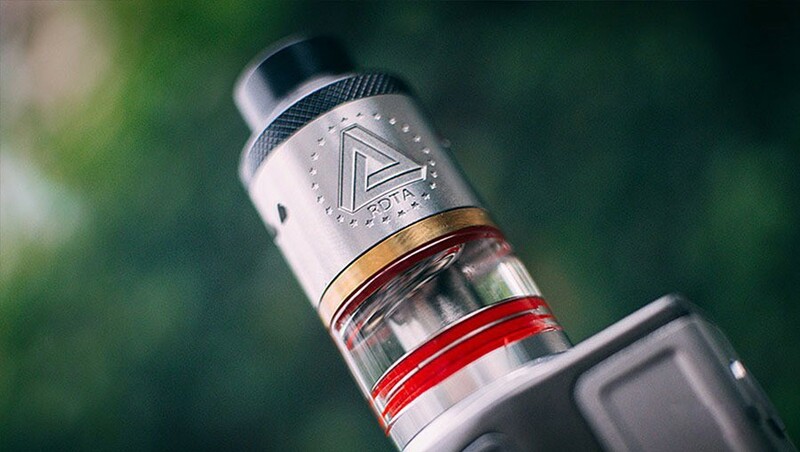 The RDTA atomizer we are talking about is not defined with complete accuracy. I will divide them into two parts. One is that it has the common rda atomizer structure on the top and oil tank at the bottom (strictly speaking, this should be classified as RBA atomizer ). I call such atomizer as RDTA in a broad sense (after all, such type has been accepted by the public). The other one is that it can be changed between RDA and the general-sensed RDTA, namely RDTA atomizer in a narrow sense. The lists below contains such two types of RDTA atomizers. What exactly are the details? Let’s talk about them separately. The structure of this atomizer is very similar to that of the Limitless RDTA Plus appeared in an earlier time. But compared with Limitless RDTA plus, it strengthens the tightness. At the cap of the atomization warehouse, the dome is designed to be gathered inward, thus enhancing the density of the vapor and make the flavor much thicker. The color of this Smoant RDTA synchronizes with the color of the mod. It can be said that they are officially matched. 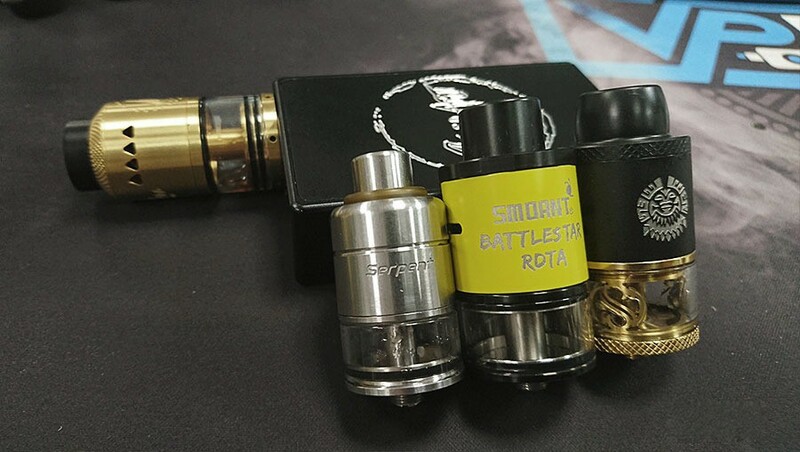 After the improvement of the weaknesses of the previous RDTA, this Smoant RDTA atomizer can be called an excellent RDTA atomizer. This atomizer adopts many structures that are different to other RDTA atomizers. So to speak, this RDTA is very unique among all the RDTA atomizers. No matter its presser-styled electrodes, o-ring sealing to two filling holes, and the middle-to-bottom inflow system, all of them makes this RDTA very special. The tiny atomization warehouse can produce extremely compressed vapor and bring dense flavor. 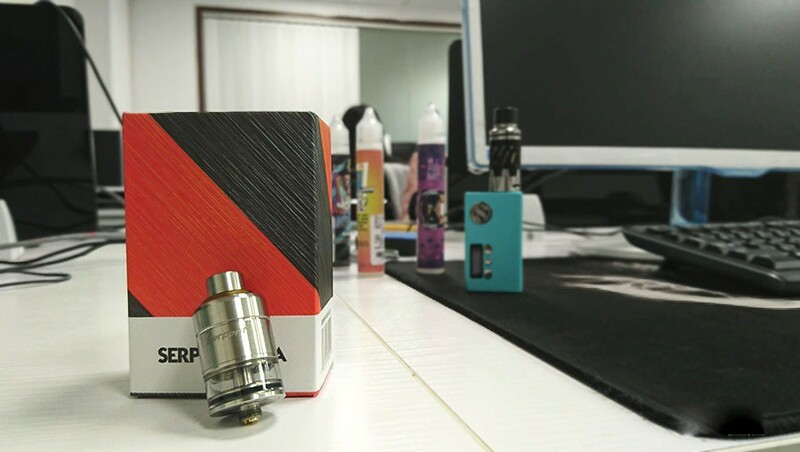 The special structure can well support the user to vape at a standard flavor data with high power for a long time without any oil defecting problem. So to speak, this RDTA atomizer is a flavor-oriented atomizer and can store oil. It has excellent flavor and good capacity. Surely, its anti-leaking is also a very important strength. This atomizer is made lots of efforts on the appearance. No matter the Logo on the atomization warehouse, the net carve pattern on the top cap and the base, and the gold-plated hollow carve parts in the oil tank, all of these structures endows this atomizer with a primitive feel of totem. The filling hole adopts the way of filling in the middle. The filling hole can be sealed by the plug component on the top cap. The cotton hole adopts the arc open type design. Each side has a cotton hole. (It really tests the skill of wicking. If the cotton hole is not plugged well, it will surely results the oil leaking from the cotton hole. ) The electrode adopts the design of dual posts and dual holes. The width of the oil locking holes is enough to install the combined fancy coil which is comparatively wide. The bottom inflow system strengthens the performance in flavor. From the appearance and the unique structure, this atomizer is full of creativeness. In using, since the space between the two electrodes is very wide and the size of the coil locking holes is big, this atomizer actually matches the combined fancy coil and can ensure good flavor. But it’s really hard for the new players to do the wicking. 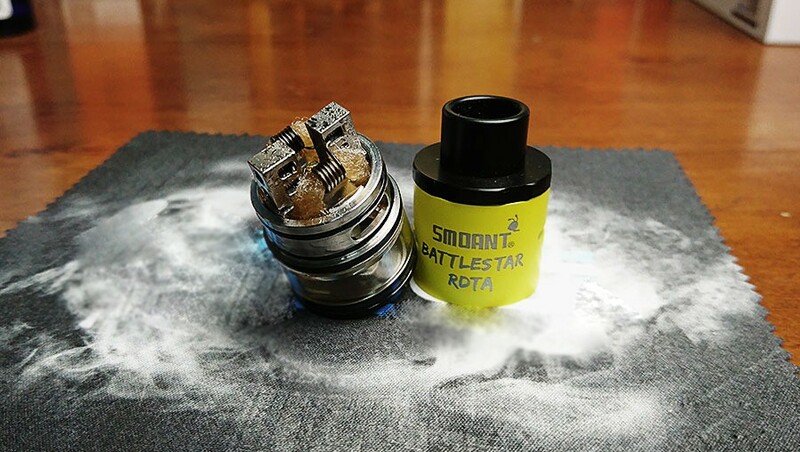 The first narrow-sensed RDTA atomizer we mentioned here can choose to install or not install the oil tank through changing the connections of the components （RDTA or RDA）. It also provides multiple electrodes for the players to satisfy different needs on building the coil and different coils. The appearance is very simple without many complicated lines or patterns. The diameter of the atomizer reaches 25mm, stunning! Such long diameter brings huge atomization space and accordingly can meet different installing needs of the fancy coils. But the problem also comes. The huge space cannot compress the vapor well. The user can only use the ordinary low-resistance coil that can produce huge vapor and the fancy coils to gain a good usage experience. In summary, this RDTA is of very high playability. The only defect is that its sealing is not very good, and it sometimes has the leaking problem. This RDTA is also convertible on its shape. But the converting method is a little bit different to the NEW LIMITLESS RDTA. To fill this atomizer, you will need to disassemble the oil tank. After filling the tank, then you assemble the electrode base back to the atomization warehouse. The operation is hard, but it completely avoid the leaking problem caused by bad sealing (Oil leaking caused by bad procession of the cotton is not counted in ). There is bottom inflow hole and top inflow hole, both of them are adjustable. When adjusting the bottom inflow hole, it will absolutely influence the inflow direction on the top. All in all, the playability of this atomizer is slightly higher with nice stability. Especially the changing of the inflow direction can produce a better flavor. Moreover, the fact that it can be changed into the form of RDA also add fun to it. Thus, we can only regard the oil storing space below the electrodes as a portable oil filling system. As regard to the building of coil, we can completely copy the way how we build coil on RDA. The only difference is that the reserved length of the cotton should be longer on the RDTA. In this way, we can assure that the cotton ends could be inserted into the oil tank completely and that the leaking problem could be reduced. Experienced RDA players can easily feel the remnant. 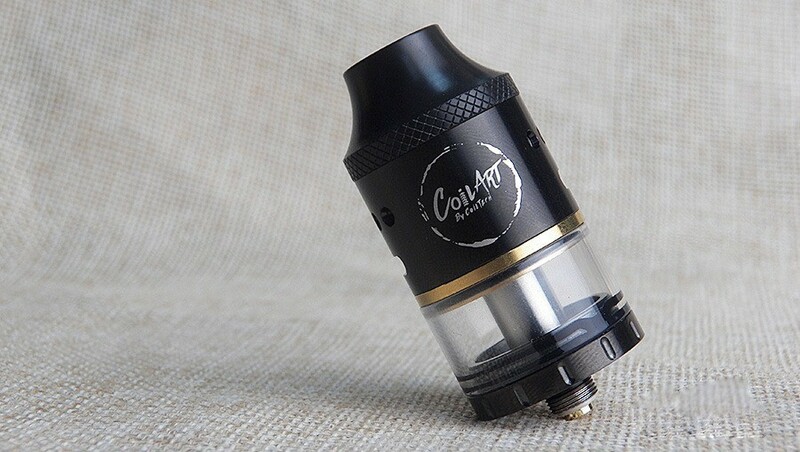 When you feel that the oil on the cotton is not sufficient, you can invert the atomizer (When there is enough oil in the oil tank, you don’t have to invert the atomizer. Since that when you are vaping, the atomizer is tilted. The oil will naturally fill into the coil through the cotton) to make the cotton end touch the oil. Only two or three seconds are needed to fill enough oil into the coil. What is your most fashionable ecig in your stock?